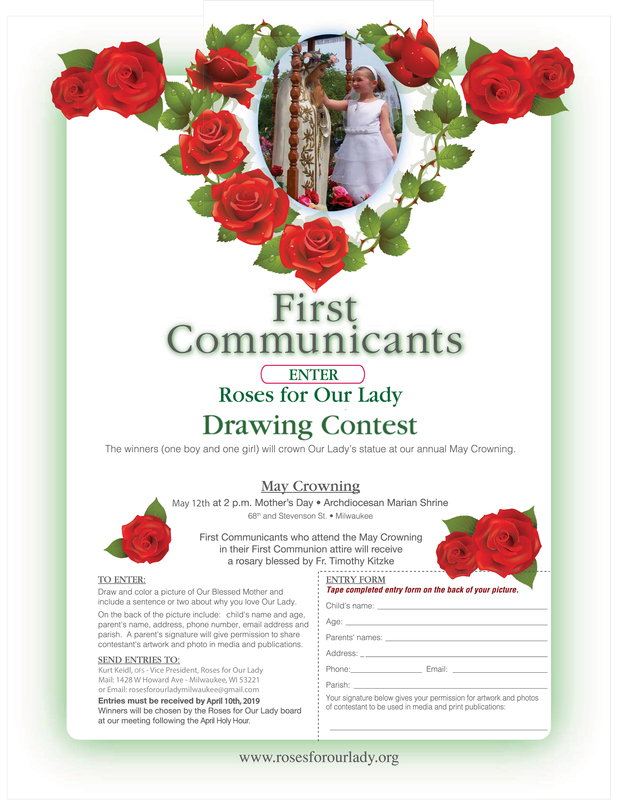 Roses for Our Lady is an association of Catholic laity in the Archdiocese of Milwaukee. Our mission is to "bring honor and glory to Jesus and Mary in our world today". We accomplish our goal by promoting authentic Eucharistic and Marian devotion: to Jesus through Mary. 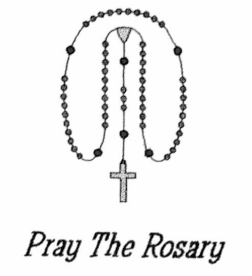 Our activities include Eucharistic holy hours, rosary processions, and the celebration of major Marian feast days. Our largest event is the annual May Crowning and outdoor Eucharistic rosary procession at the Archdiocesan Marian Shrine. We also sponsor a monthly Holy Hour for Vocations at St. Francis de Sales Seminary. Anyone is welcome to attend our events, and we also invite you to become a member of our organization. ​during this year's May Crowning on Sunday, May 12, at 2 pm at the Archdiocesan Marian Shrine. Click the Facebook icon below to receive the latest updates for our events. 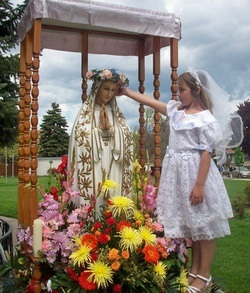 DONATIONS ARE URGENTLY NEEDED FOR OUR MAY CROWNING EXPENSES: street permit, flowers, clergy stipends, printing costs, advertisements, First Communicant Drawing Contest, new amplifier for loudspeakers. PLEASE BE GENEROUS! What love gift can you offer for Our Lord and Our Lady? 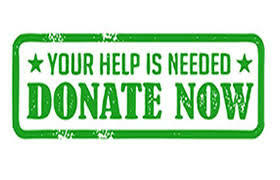 CLICK BELOW TO DONATE SECURELY THROUGH PAYPAL.